The ancient Ayurvedic practice of oil pulling is a daily oral hygiene practice similar to our daily habit of brushing and flossing for good oral health. 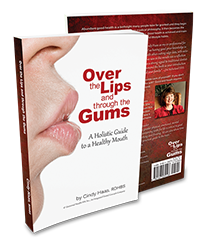 Oil pulling begins in the mouth, with oral benefits to be sure; however its effects are more holistic and widespread than being limited to just the mouth. Oil pulling is the practice of swishing a spoonful of oil in your mouth first thing each morning. I know it sounds strange, but read on; it is pretty interesting and causes me to wonder how the ancients figured out the benefits prior to the invention of the microscope. Strange as it sounds, it has been practiced for thousands of years. Bacteria thrive in warm, dark, moist places with an adequate food supply. The mouth is an ideal habitat for bacteria that live at body temperature because in most people, there is no shortage of food supply. The mouth is also an entry portal for bacteria wishing to access the inner depths of our bodies. Bacteria invading the mouth from our hands, food, beverages, can easily set up housekeeping in the mouth or position themselves to be ingested through swallowing. Brushing and flossing addresses mostly the microbes associated with attachment to our teeth. Oil pulling captures any oral microbes in the oil which is then spit out before any of the microbes can be swallowed. The benefits of oil pulling may be noticed anywhere in the body where microbes are creating challenges. Prev:Are you Chemically Addicted to Food?